This entry was posted in Recovery & Support on July 8, 2014 by Platinum. 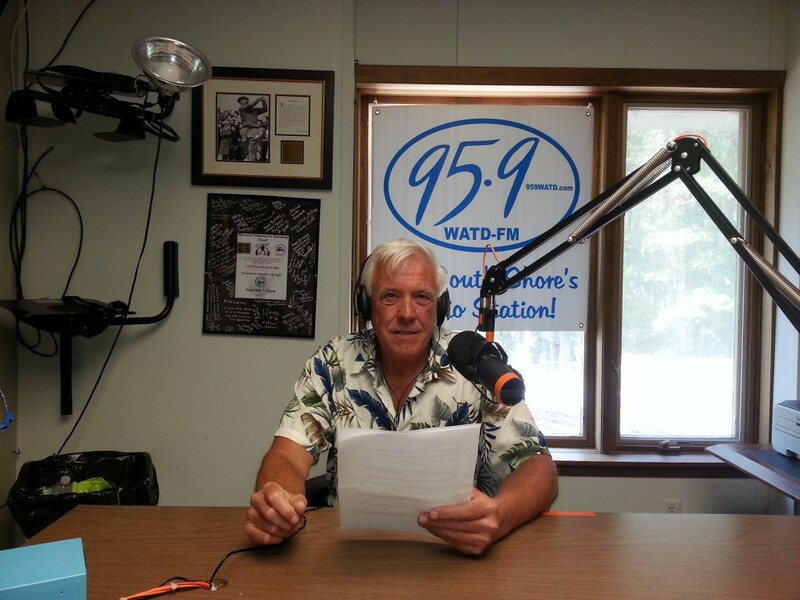 Addiction Recovery Story by Jim Hall Radio Show Host at 95.9 WATD FM “Common Ground” Addiction and Recovery. It’s hard to say exactly when my addiction started. I started drinking alcohol about the age of 14. Many of my friends were as well though certainly not all. Marijuana use began about 15. Growing up in the late sixties and early seventies was all about counter culture, and drug experimentation was the norm. Tune in, turn on, and drop out was the mantra for many including me. It was always about me. The message in my circles was that drugs were not bad, only ways to expand the consciousness. The government and the establishment wanted to control us. By twenty-one I was a daily drinker and a regular at the bars. Looking back I might have been able to cut back or moderate my drinking during this period but I lacked the incentive or foresight to do so. I had begun to have negative consequences but generally wasn’t held accountable. “It’s just a phase” or “he’ll grow out of it” was the familial response. Well, I grew into it, not out of it. By thirty I was a full blown addict. Alcohol was my drug of choice but I abused anything I could get my hands on. Through continued use and abuse the troubles that accompanied me mounted. It began a pattern of being called out about my behaviors and profuse apologies on my part along with promises to do something about it. Most often my intentions were to do SOMETHING, however the desire to stop permanently was not there. Slow down, cut back, get the heat off was all I was capable of. Even by my forties when I finally admitted I had a problem I had never really accepted it. I found the hardest part was surrendering to my disease and more importantly realizing this was something I couldn’t do alone. I could stop, as I did many times, for months, even years but I couldn’t stay stopped. Regardless of all of the horrendous things that were brought about by my using, after periods of abstinence, I inevitably thought “this time will be different”. My unwillingness to surrender and accept that, alone, I was helpless and hopeless almost cost me my life. Many people believe one has to hit bottom before recovery can start. In some respects I believe this to be true. In many instances the loss of a job, marriage or arrest is enough to bring about change. Make no mistake drastic change is needed. In my case the realization that death seemed inevitable and imminent was the point when I “got it”. Many detoxes and treatment centers hadn’t done it, through no fault of their own. People get it when they get it. If they don’t die first. Untreated addiction almost always leads to death. Show me an old heroin addict! I’m often asked what was it that was different about the last treatment center I was in that led to my current sobriety. My answer is always “it was the last one” It really could have been any one. Something happened during that surrender and now I am aware it was spirituality returning to my life. I say returning because I believe we all have it but often disregard it and bury it with our self sufficiency and selfishness. How empowering it became to discover that depending on someone (thing) else gave me the ability to handle anything. With that knowledge came the real secret of sustaining meaningful, joyful recovery. Helping others gives me the only reward that matters, staying sober by giving back and looking for ways to be of service. Am I a saint? Far from it, but I make an honest try at being a better person This results in a wonderful high and a deep feeling inside that I was always searching for on the outside. Finally a great deal of credit goes to Twelve Step programs. I tried them for years but continued to relapse. I was too often doing it alone. When I was given the gift of desperation things began to make sense and come together. I continued to stay involved because I need regular contact with others in recovery. Meetings are also a valuable resource to find newcomers in need of help. All addicts (including families and loved ones) have a common problem and there is a common solution, therefore we all are on Common Ground Recovery is real and it works! If there is a lesson in this it might be, never give up! Always remember “where there’s breath, there’s hope”!